A cancellation fee equivalent to one night’s stay will be charged on any cancellation made within 7 days of the original reserved stay. The full reservation cost will be collected for no-shows. A deposit equal to the first night stay is required to secure any reservation. A cancellation fee equivalent to one night’s stay will be charged on any cancellation made within 7 days of the original reserved stay. The full cost of the reservation will be charged for no-shows. The Westcott is a small hotel with a relaxed and intimate ambiance and has been designed for adults aged 21 and over. Also, in accordance with City regulations, our pool is permitted to operate without a safety fence due to the year it was built - this prohibits minors from utilizing the pool area. Unfortunately, we are unable to honor reservations made where, upon arrival, a member of the party is under 21 years of age. The Westcott Palm Springs does allow pets under 10 lbs. There is a one-time Pet fee $75.00 per pet, per stay. We love our furry friends we just ask that our guests be considerate to other guests and our quiet relaxed ambience. Please note that pets are not allowed near or in the pool / spa and that pet owners are responsible for the cost for the full drain, clean and refill of the pool / spa as per our City regulations. The Westcott Palm Springs does not allow smoking in any of our guest rooms. A $250.00 cleaning fee will be charged if guests smoke within the rooms. Smoking is allowed in any of the common areas and we ask guests to be considerate of others. A maximum occupancy of 2 people per room is allowed (unless residing in a WESTCOTT SUITE where max occupancy is 4). Please contact the hotel if you require an exception to this policy where an additional fee will apply. We have day passes available for 'guests of our guests' should you wish to invite any non registered guests to join you at the hotel and use our property amenities. Please speak to a member of our team. The Westcott Palm Springs respects the privacy of all our guests, and we are committed to protecting it. To best serve you throughout this Web site, you may be asked to provide a variety of information, such as name, mailing address, telephone number, email address, credit card information, etc. This information will allow us to provide a personalized experience for each visitor to our Web site.This Web site does not collect, save or store any personal information from visitors that simply browse this Web site, unless you voluntarily and intentionally provide it to us. We do not collect personal information without your knowledge or consent. Any personal information that is requested on our Web site is necessary in order to perform a particular service, such as processing your reservation, enrolling you in Stash Hotel Rewards, etc. We request personal information from you in order to process online reservations. You must provide contact information (such as name, mailing address, telephone number and email address) as well as financial information (such as credit card number and expiration date, etc.) in order for us to process your reservation. This information is used for billing purposes and to reserve a room. 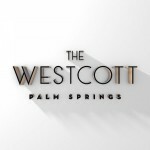 If there is a problem with a reservation, the information provided will also allow us to contact you.Agents, contractors or marketing partners of The Westcott Palm Springs and affiliates who have access to your personal information are required to keep the information confidential and not to use it for any other purpose than to carry out the services they are performing for The Westcott Palm Springs . The Westcott Palm Springs and affiliates will not sell or distribute any of your personal information to any outside organization for marketing or solicitation without your permission. The Westcott Palm Springs is committed to the security of the data collected on this Web site, and treat all information you provide us as confidential. We use secure socket layer (SSL) encryption technology to secure the privacy of credit card information, name, address, email and other information you provide us. To better serve you when you are using this site, we also use “cookies” to help us recognize your preferences and selections. • Session cookies that are automatically deleted once you close your browser. • HTTP request header information in order to make our Websites function correctly and to personalize content presented to you, better understand how visitors use our Website and how we can better meet your needs. • Throughout the online reservation process to remember dates used in hotel searches, check room availability and fulfill the reservation. • Allow registered users to sign in without typing their email each time. • Measure usage of various pages on our Website to help us make our information more personalized and easily accessible. • Provide functionality such as online reservations and other functionality that we believe would be of interest and value to you. • Track customer response to POSH Palm Springs Inn advertisements and Web site content. • Know how many users open an email and allow our service provider to compile aggregated statistics about an email campaign for us. • Serve ads through third-party advertising technology when you visit our Web site and sites upon which we advertise. In the course of serving our advertisements to you, unique third-party persistent cookies, clear gifs or beacon gifs may be placed on your computer or device, provided by our ad-serving providers, to help manage our online advertising and which recognize when a device visits our Websites, to learn which banner ads bring users to our Websites and to track whether a reservation is made. The information our ad-serving providers and we collect through this technology is not personally identifiable but is used to create a profile which allows the ad-serving provider to serve adverts targeted towards you and your interests across the ad-serving network. • Allow us to better target interactive advertising, enhance customer support and site usability, and provide offers and promotions that we believe would be of interest to you. Some web browsers offer a "Do Not Track" ("DNT") signal that is a HTTP header field indicating your preference regarding tracking or cross-site user tracking. We currently do not respond to DNT signals; however, as stated above, we do allow you to exercise some choice in the information collected by adjusting your browser’s cookie settings. As stated above, we also work with third parties that use tracking technologies on our Web sites in order to provide tailored advertisements on our behalf and on behalf of other advertisers across the Internet. These companies may collect information about your activity on our sites and your interaction with our advertising and other communications, and use this information to determine which ads you see on third party websites and applications. Please be aware that third-party Web sites available through links on www.thewestcott.com each have separate privacy and data collection practices. We have no control, responsibility or liability for these third-party policies or actions. The Westcott Palm Springs cannot ensure or warrant the security of any information you disclose online to third party sites. Our Web sites are not intended for children and we do not knowingly solicit or collect personal information from children. If we are notified or discover that a child under the age of 13 has submitted personal information to any of our Websites, we will take reasonable steps to delete the information. Welcome to The Westcott, Palm Springs (www.thewestcotthotel.com) - a unique and timeless 1930s Art Deco property in the heart of Palm Springs, CA. At The Westcott you can experience a boutique experience combined with a relaxing ambiance in the beautiful surroundings of our art deco building built in the 1930s. Each room has been individually designed offering the chance to experience modern amenities with original touches reminiscent of the Hollywood glamour that put Palm Springs on the map. The Westcott has a dedicated management team that will tailor your stay to your individual comfort and go out of our way to ensure your experience provides ultimate relaxation, unsurpassed comfort and efficient yet relaxed and friendly service. We provide guests with a full breakfast and a nightly cocktail hour included in our nightly rate - which along with our rooms and amenities has achieved us the TripAdvisor Certificate of Excellence in 2017 and we continue to be included in the Top 10 Modern B&Bs from BedandBreakfast.com as well as multiple other awards and listings. 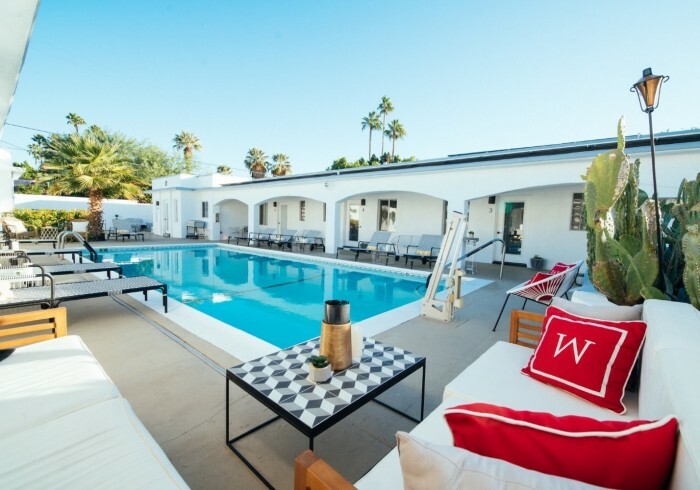 Our vintage 1930’s-inspired Palm Springs accommodation is the perfect place to relax, unwind, and experience the beautiful California weather and we look forward to welcoming you.